There are 33 stamps matching your search. 86; - Boat Landing, Navy Pier, Chicago, Ill. Showing the promenade and ships at the dock. 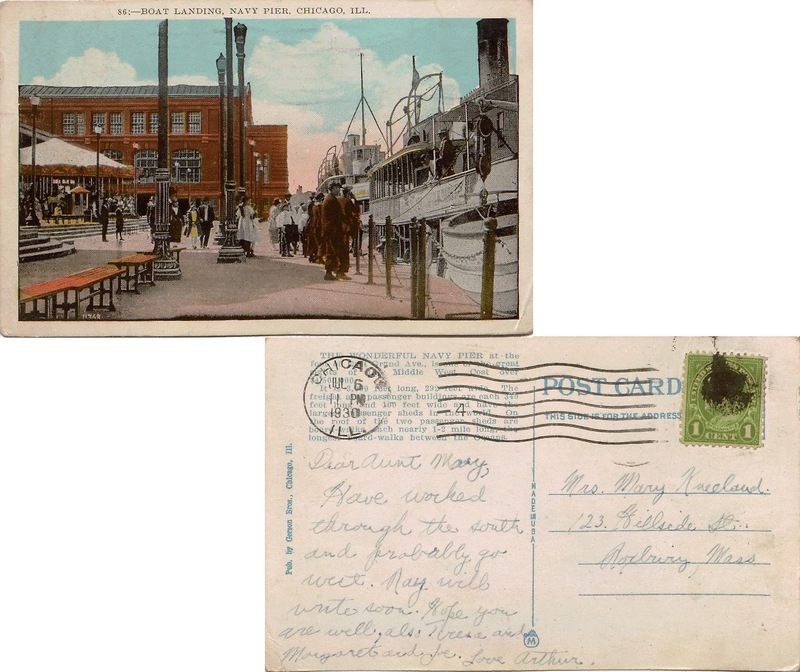 Gerson Bros. Postally used July 6, 1930. Aurora Ill. College of Christian Advent Church. Real Photo 300LD. 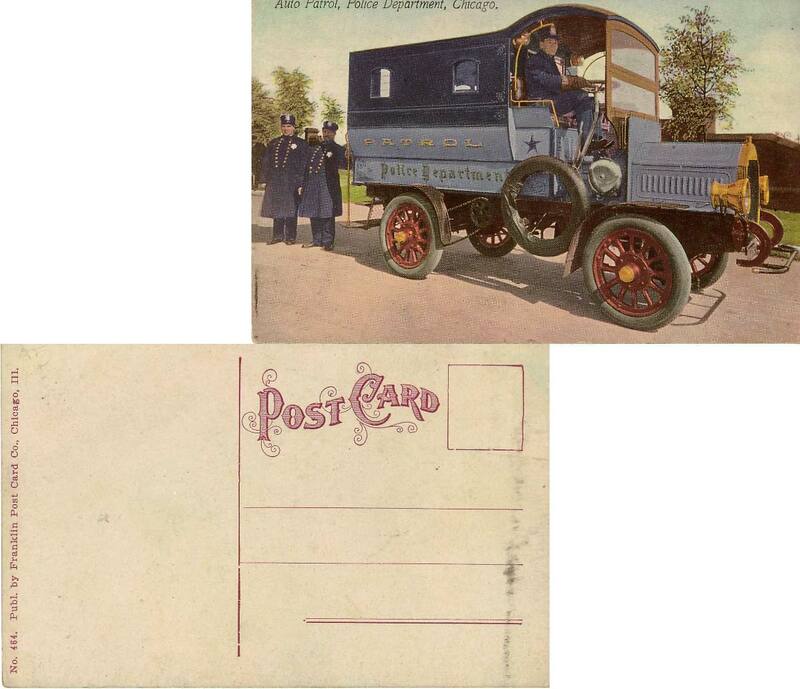 Postally used April 6, 1912. 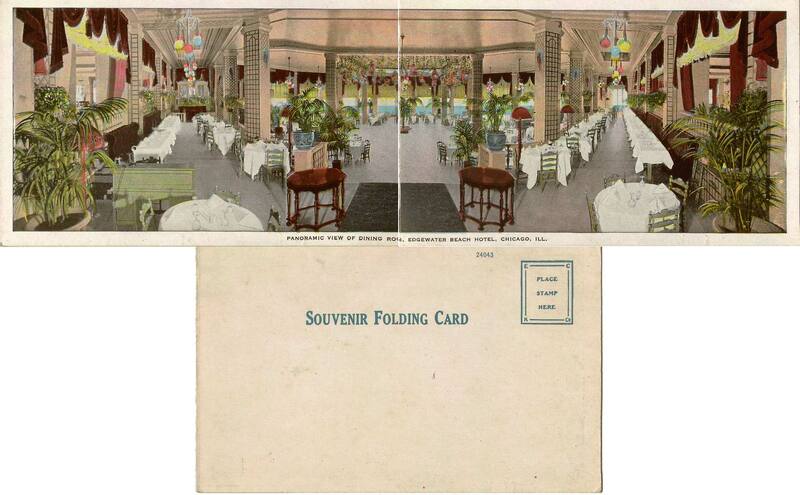 Panoramic View of Dining Room, Edgewater Beach Hotel, Chicago, Ill. fold-out showing entire dining room. E. G. Kropp Co. White border. Unused. Minor wear on fold. 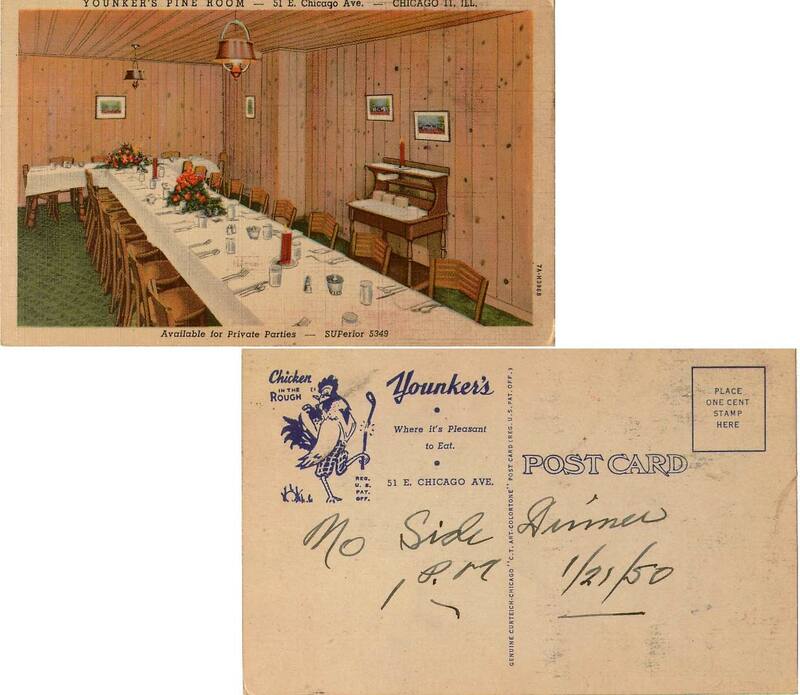 Younker's Pine Room -- 51 E. Chcago Ave. -- Chicago 11, ILL Available for Private Parties -- SUPerior 5349 showing view of the dining room. Curt Teich. Linen. Message inscribed with date 1/21/50. 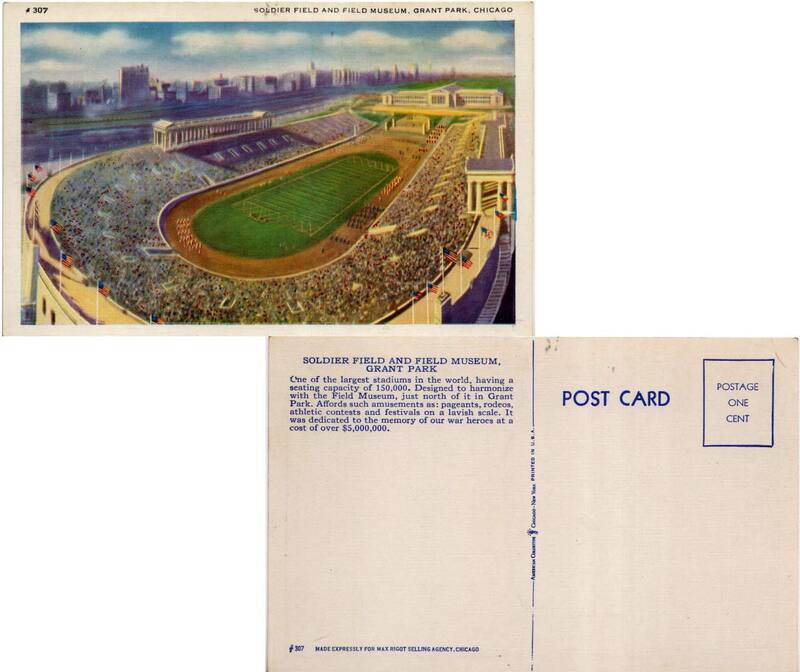 Soldier Field And Field Museum, Grant Park, Chicago showing ariel view of stadium with city skyline. American Colortype #307. Linen. Divided back. Unused. 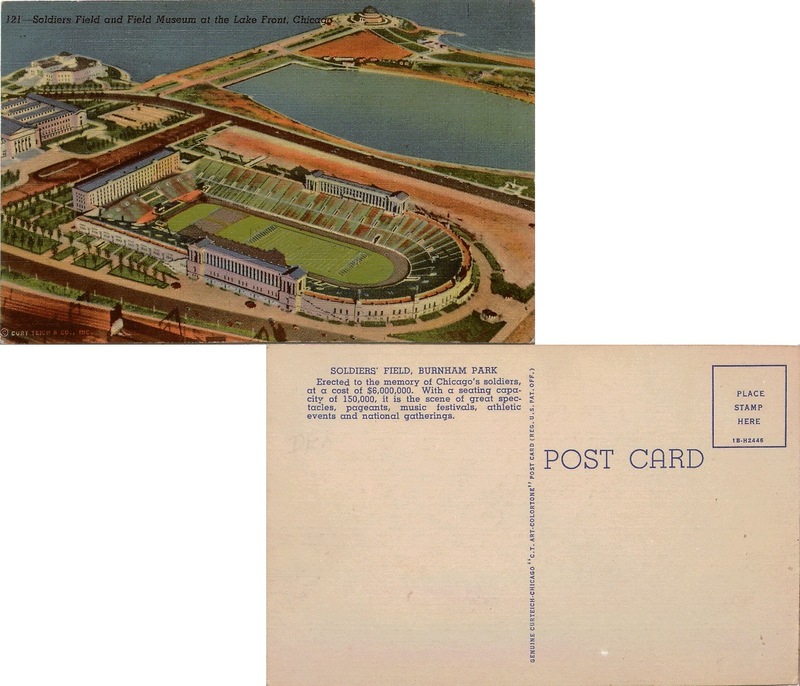 121 - Soldiers Field and Field Museum at the Lake Front, Chicago showing an aerial view circa 1924 of the iconic stadium, museum, and Lake Michigan in the background. Curt Teich & Co. 1B-H2446. Unused. Divided Back. Auto Patrol, Police Department, Chicago showing police automobile and police officers. Franklin Co. Divided back. Unused. 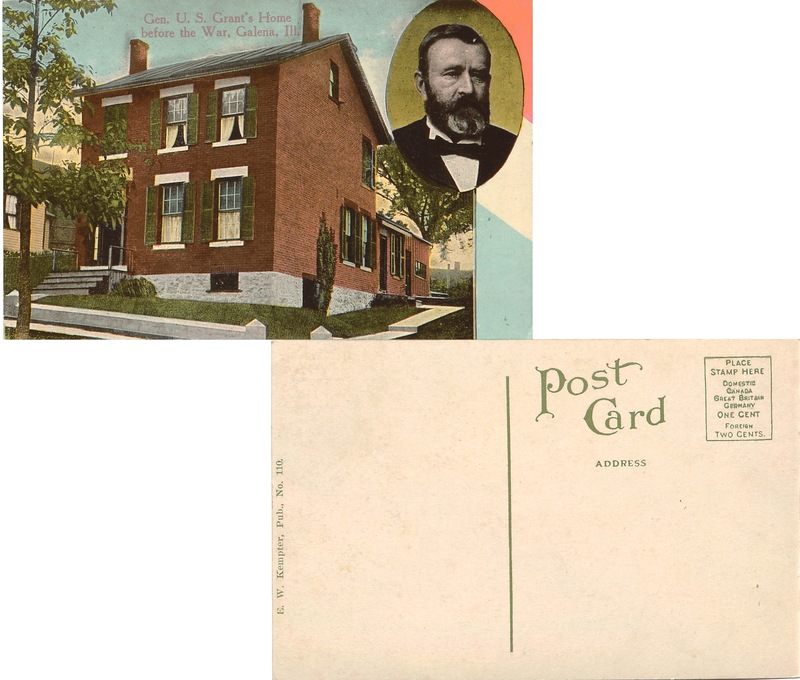 Gen. U.S. Grant's Home before the War, Galena, Ill. Showing the home of the legendary general with his portrait in the upper right corner. E. W. Kempter. No. 110. Divided Back. 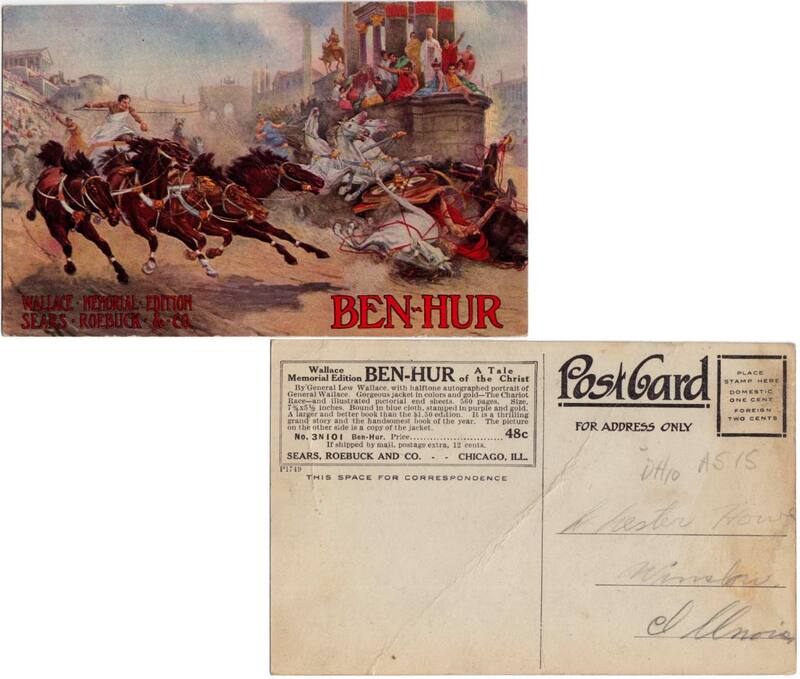 Ben-Hur Wallace Memorial Edition Sears Roebuck & Co. showing climactic chariot race, horses, spectators. Sears Roebuck And Co. P1749. Divided back. Crease and some edge wear. 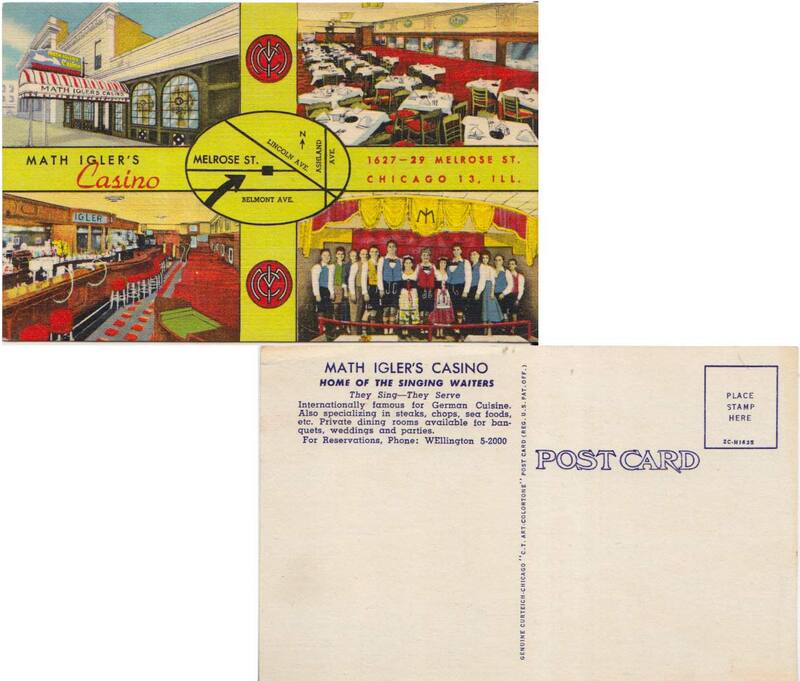 Math Igler's Casino showing interior views, staff and location. Curteich-Chicago 'C. T. Art Colortone' 2C-1635. Linen. Unused. 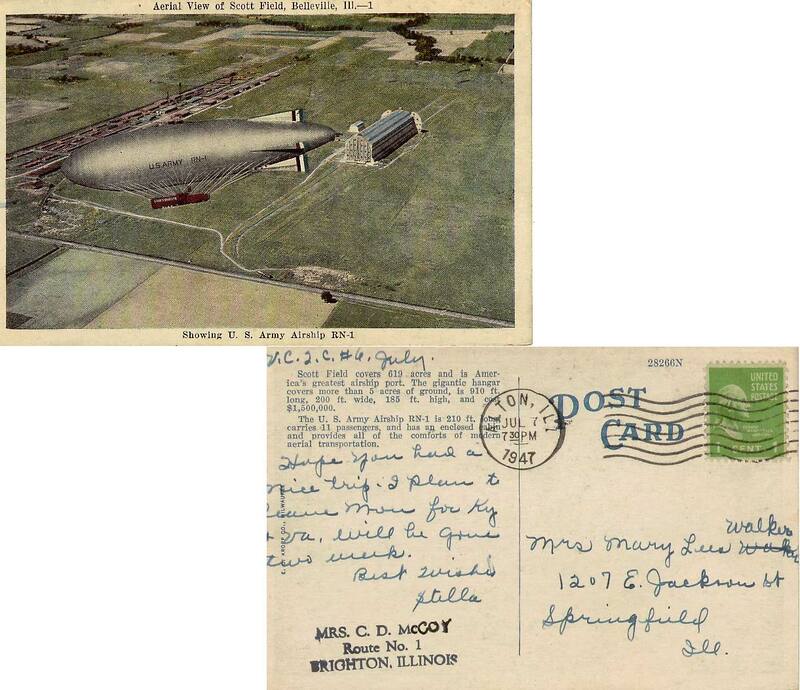 Arial View of Scott Field, Belleville, Ill--1 Showing U. S. Army Airship RN-1. E. C. Kropp. 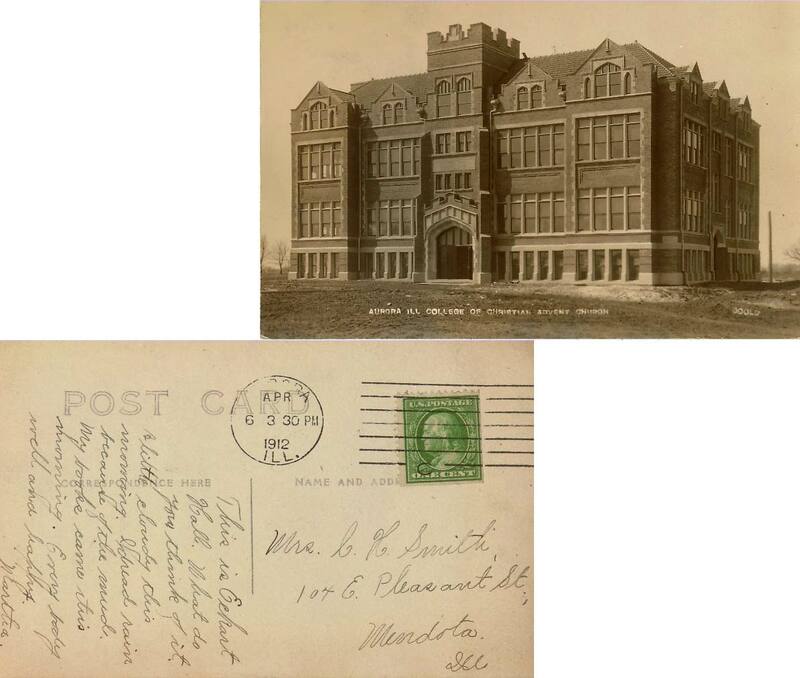 Postally used July 7, 1947. 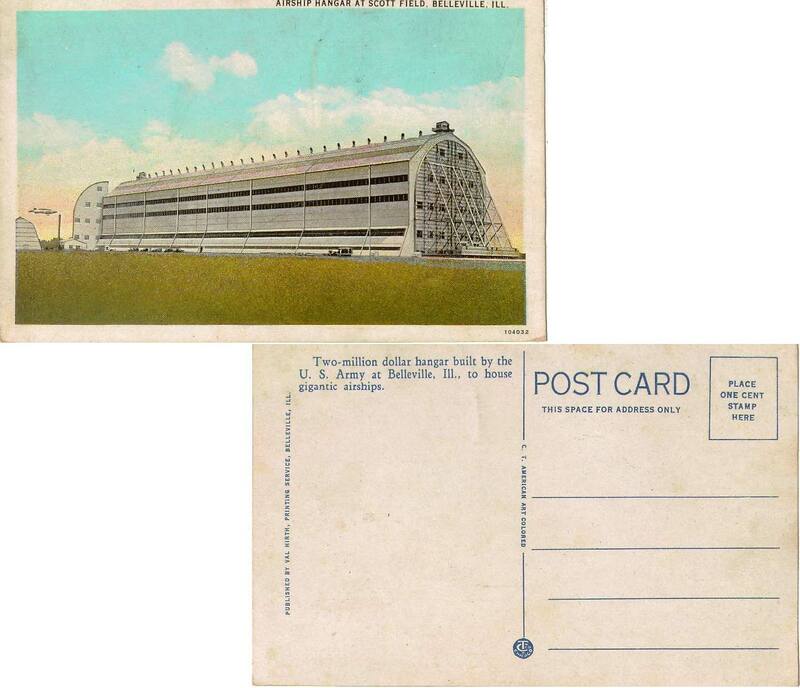 Airship Hangar At Scott Field, Belleville, Ill. Showing view of hangar with airship moored in the background. Val Hirth. 104032. Unused. Linen. 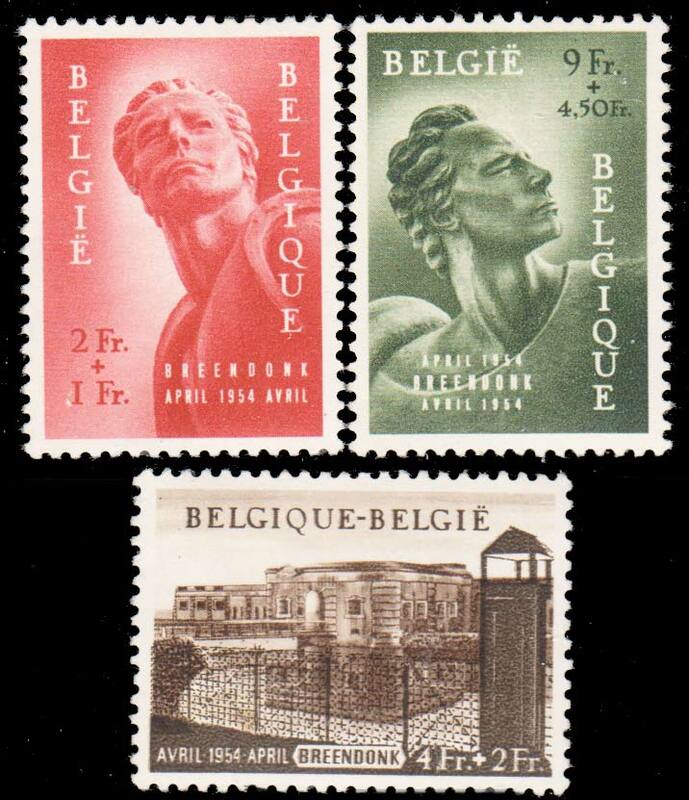 2F+1F Political Prisoners� Monument, 2.50F+50c Camp and Fort Breendonk and 4F+2F and 9F+4.50F Political Prisoners� Monument Semi-Postal. Unused lightly hinged with gum spot.